Local Expert Says: "Blame Europe for Stock Plunge"
US shaky recovery is not to blame for Thursday's dramatic plunge of the stock market, according to a local expert. He says we should look to economic trouble in Europe instead. Some rattling of nerves on Wall Street Thursday as the bell weather Dow fell 512 points in the biggest drop in nearly three years. Gold and crude oil also dropped, and two weeks of nearly daily declines have now erased all the year's gains to date. "There's an old Wall Street saying, 'when you can't sell what you want to sell, you sell whatever you can sell including you're grandmother's necklace,'" says Art Cashin, UBS Trading floor Director. But why the market jitters? The recovery is still moving forward, albeit slowly. Target and other retailers reported solid sales, though it took some discounting. GM doubled its second quarter profit. So, some experts have now concluded that the source of the trouble is in Europe. "Cash, money, is leaving the banks in Europe," according to John Blank, LA Economic Development Corporation. 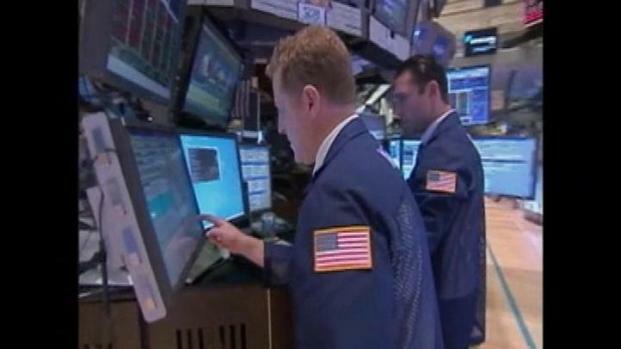 Blank sees U-S markets shaken by the debt crisis spreading through European Union nations. "If you're a big money investor in Europe, now it's fear that you're running from and you don't care what's happened, you're just gonna get out," says Blank. "Until that uncertainty is resolved," says Cashin, "It will be tough to pull this back together." That uncertainty may keep Americans from spending again, like they did three years ago. That, some fear, could a second recession, the dreaded double dip. "It is true that the stock market has gone down," says Blank, "but if it's not seen as permanent, people won't change their spending habits." "It has to be said that the other interpretation of an equity marker that's violently selling off, is that it's getting out of way of an outlook that says there is going to be a recession," according to Blank. Even if not, the dropping stock market has shrunken the nest eggs of millions of Americans. Now they are left to wonder how long it will take to earn that money back.